On October 8, 2012, the new book Five Lives in Music: Women Performers, Composers, and Impresarios from the Baroque to the Present by renowed music critic Dr. Cecelia Porter was presented at the Austrian Embassy in cooperation with the American-Austrian Cultural Society. In her book, Cecelia Porter covers the lives and art of five female musicians who lived in different centuries, societies and places. 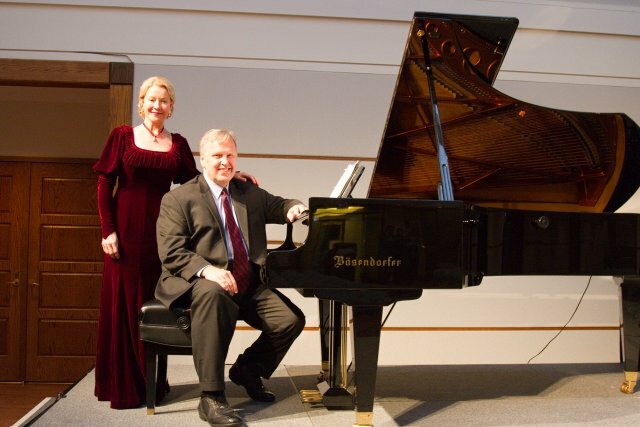 The event at the Embassy included both a lecture and a classical concert. Cecelia Porter's presentation of the five main characters of her book - Duchess Sophie–Elisabeth of Braunschweig–Lüneburg, Elisabeth-Claude Jacquet de la Guerre, Josephine Lang, Maria Bach and pianist Ann Schein – was accompanied by the music of soprano singer Rosa Lamoreaux and pianist Stan Engebretson.